Dimensions (in packaging): 10" x 10" x 10"
I send these to clients. They always rave about the variety! Unique flavors in Decadent Cookies! I liked how the cookies tasted. My fave was the 'cha chas'. not too spicy because it had just a hint of the heat, but was not overpowering. We are greatly enjoying these! I ordered several flavors. All are great! Such unique combinations & wonderful tasting! You might think you know cookies. Sure, you know your mom’s homemade cookies, local bakery treats and the store-bought brands your kids like best. These cookies however, from Lark Fine Foods are different. They’re not for stashing in lunchboxes or serving on plastic plates with a side of apple juice. They’re for grown-ups with a craving for sophisticated treats. Mary Ann McCormick (right) and Nicole Nordensved started this gourmet cookie business after a guest raved about their chocolate refrigerator cookie, called the Cha-Cha, that’s infused with a surprise chili pepper spice. Now the mother-daughter duo makes a whole line of cookies, some spicy, some savory, all geared for the grown-up palate. Mary Ann sent us some samples after she saw Daily Grommet on the New England news show Chronicle. Now we’re hooked. 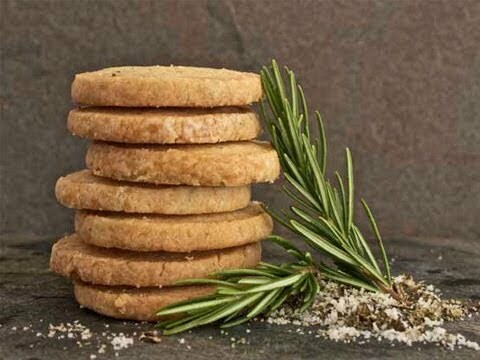 Lark has a flair for combining unusual ingredients to create treats that are both sweet and savory, like rosemary-seasoned shortbread dusted with sea salt, or the Polenta Pennies laced with lemon and raisins. You can choose a sampler pack with three or six varieties, then prepare to indulge. 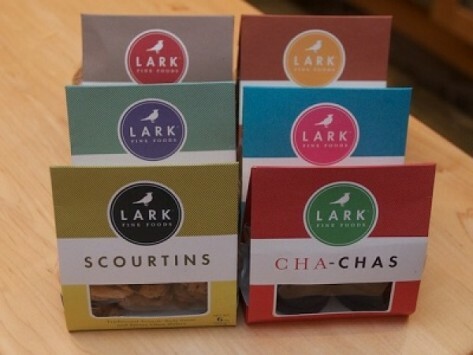 You’ll find Lark’s treats are never too sweet, and they pair just as nicely with tea, milk or a glass of wine. Your taste buds will thank you.